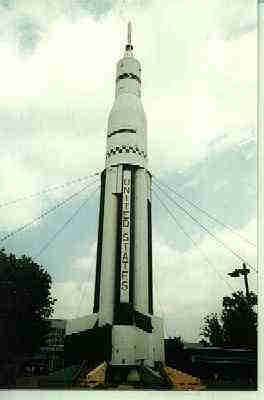 You Are Listening To "Breeze From Alabama"
Huntsville earned its place on the map when NASA developed its Space and Rocket Center here. This is a Saturn booster rocket, one of the most powerful ever built. 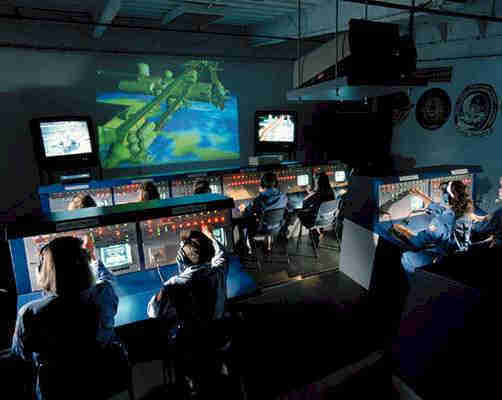 The addition of the 19,000 square foot IMAX theater at the NASA Visitor's Center, features films of actual footage taken by shuttle astronauts. 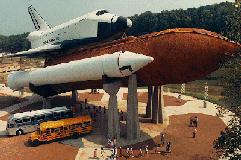 At the Space Camp, you can see this full-scale shuttle mockup of Pathfinder. Compare the size of the buses to the shuttle mockup. 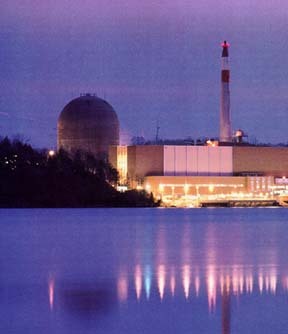 This is Indian Point. Isn't it a lovely picture? 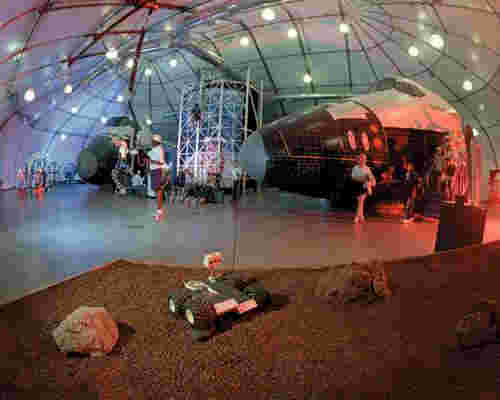 U. S. Space Camp programs use the excitement of space exploration to motivate young people to pursue more math and science studies. 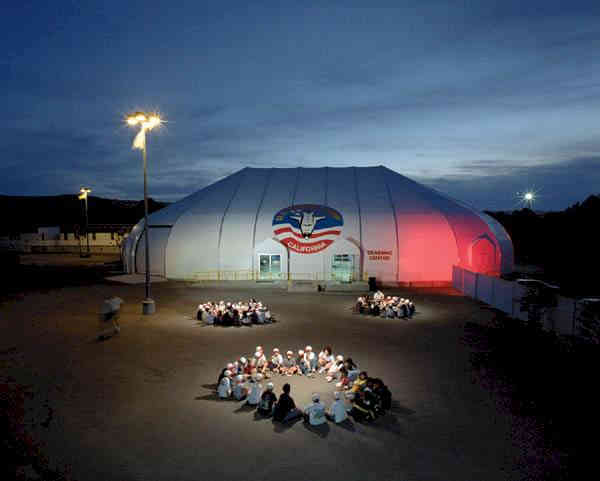 Let's take a look at Space Camp. This is the exterior of the training center. Some youngsters develop friendships here that last a lifetime. This is the interior of the training center. Mockups for all phases of training are located here. Here we are in Mission Control, the heartbeat of the camp. 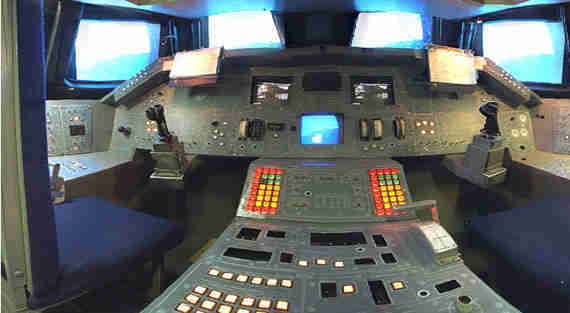 Just look at the the lights and gadgets in this shuttle control mockup. Wow! We could sure spend a lot of time here, but I guess we'd better move along and see some more of Alabama. 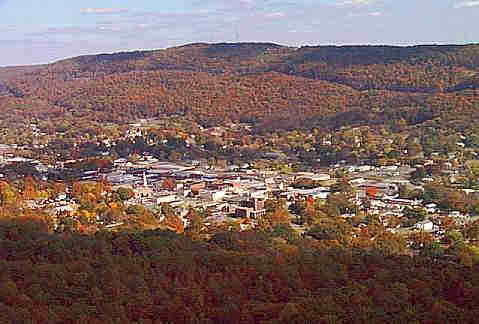 Unless you're a native Alabaman, or a fan of the highly successful country group, Alabama, you've probably never heard of Fort Payne. 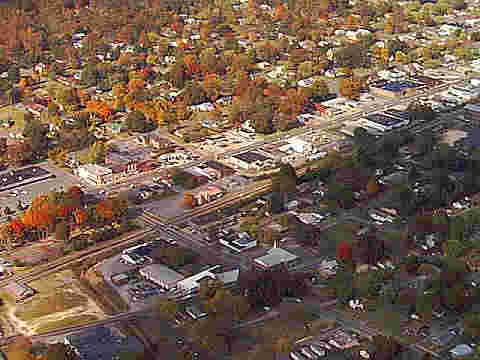 It's a thriving city of approximately 13,000 people. The ridge nearest the city, and upon which it was built, is called Iron Mountain from the great quantity of iron ore it contains. Being the sock capital of the world (they really do manufacture more socks here than anywhere else), and being the home of country singers, Alabama, is a fine tribute to this city. But, let's take a look around the countryside. 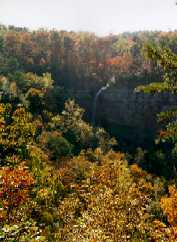 This is Little River Canyon Preserve. 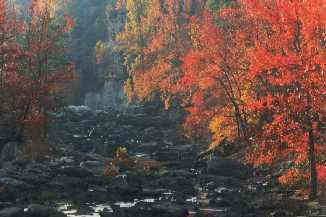 Little River flows for most of its length atop Lookout Mountain in northeast Alabama. 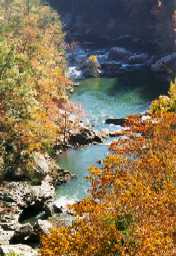 The river and canyon systems are spectacular Appalachian Plateau landscapes anytime of the year. Let's take a look at some more of this lovely area. This is Canyon Mouth Park. 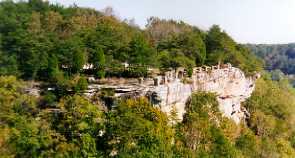 It's a great recreation area and is well known for it's rock climbing cliffs. Now wasn't that worth a little side trip? We're off to parts unknown. Let's just trust the Chevy to get us wherever it is we're going. After a fairly short drive southwest, we've arrived in Talladega National Forest. 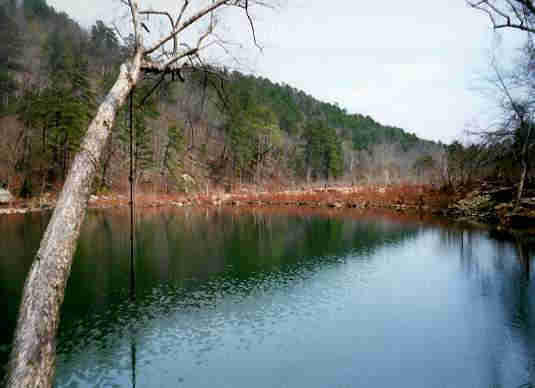 The 7,245 acre Cheaha Wilderness is located within Talladega National Forest. 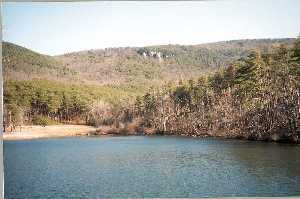 The summit of Cheaha Mountain is 2,407 feet as seen from the west side of Cheaha Lake. 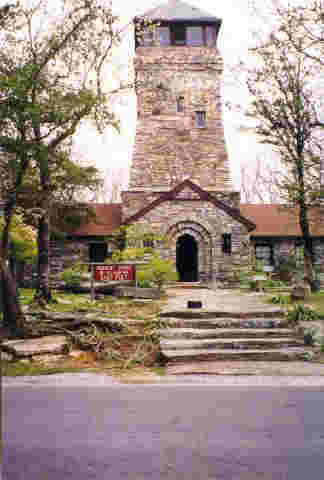 This Civilian Conservation Corps structure may look quaint, but this summit is one of the most developed high points. Another nice little side trip for us, and now, since we gassed the Chevy up on our way through Talladega (you blinked and missed it, didn't you? ), we're headed for Birmingham.